Since 2003, Healy Consultants Group PLC proficiently assist our Clients with Mexico company setup and support services. 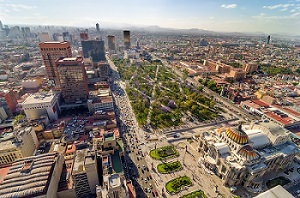 Foreign entrepreneurs looking to do business in Mexico usually prefer to set up a Mexican limited liability company. Alternatively, overseas companies can also register a branch in Mexico, or a representative office if they do not plan to run commercial operations in this country. Many of our Clients are also interested to use Mexico as a manufacturing base from which they will then export their products. In such situation, the optimal option is to setup a company in a maquiladora, (also known as export processing zone). Best uses: A limited liability company setup in Mexico is suitable for most industries and services due to low initial capital requirements and 100% foreign ownership. This structure is preferred by most of Healy Consultants Group PLC’s foreign Clients looking to expand in Mexico. Best uses: This structure is most suitable for export oriented businesses, especially for companies looking to place their produce on the lucrative North American markets. Best uses: This type of corporate structure is recommended if our Clients wish to raise funds in Mexico and eventually list their company on the Mexico Stock Exchange. Best uses: Branch offices are recommended for business sectors with high capital requirements (for example banking sector). Establishing a branch is more time consuming and costlier than establishing a corporation, and branch charters usually contain more restrictions than corporation charters. Because branch offices are not legally separate from the parent company, the parent company is responsible for the liabilities of the branch office. Best uses: Companies which do not wish to invoice local Mexican Clients and consequently suffer local taxation in Mexico can use a representative office to promote their foreign products and services.